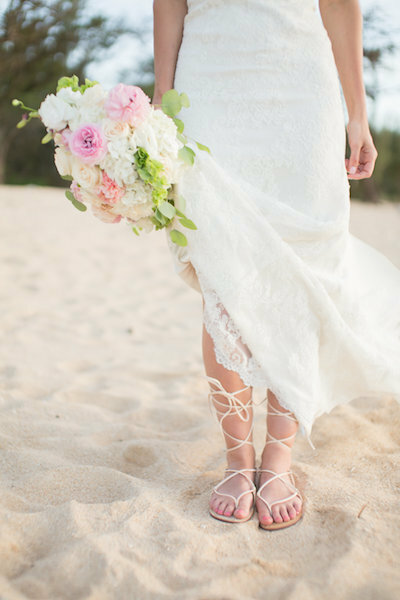 This agreement contains the entire understanding between Maui Wedding Group Inc. (MWG) Doing Business As Simple Oahu Wedding (SOW) and you, CLIENT. It supersedes all prior and simultaneous agreements between the parties. The only way to add or change this agreement is to do so in writing, signed by all the parties. If the parties want to waive one provision of this agreement, that does not mean that any other provision is also waived. The party against whom a waiver is sought to be effective must have signed a waiver in writing. MWG has a background in planning and organizing weddings and is willing to provide services to the CLIENT based on this background. The CLIENT desires to have services provided by MWG. MWG will provide the following services (collectively, the "Services") to CLIENT on CLIENT's specified date: Assistance in coordinating wedding vendors, such as Florist, Minister, Photographer. Assistance in choosing a beach location. Assistance in obtaining a marriage license, and securing beach use permit through the State of Hawaii. a. The CLIENT shall not change the date, time or location of the ceremony without first contacting and advising the Consultant of said change, so as to determine if the Consultant is still available to provide services. If the CLIENT does change the date, time or location of the scheduled ceremony, and the Consultant is unavailable to provide services, then the consultant is released from all contract obligations and shall in no way be held responsible or liable in any manner whatsoever for non-performance. The CLIENT also forfeits the Consultant fee for non-compliance with this agreement. b. The Consultant shall arrive at the wedding location at an agreed upon time to meet the vendors prior to the start of the ceremony. The CLIENT fully understand and agree that the Consultant shall not be responsible or held liable in the event the Consultant is prohibited from providing wedding day services due to illness, hospitalization, auto accident acts of God such as hurricanes, fire or inclement weather or other unforeseen incapacitation or other cause of non-arrival on the day of the wedding. The Consultant will make every attempt to notify the CLIENT and provide for a substitute wedding consultant who can provide the services if time and resources permit. In any event, the Consultant, his agents and assigns shall NOT be held liable for any compensation or any damages (including punitive) due to non-performance of any services resulting from such incapacitation or non-arrival. c. CLIENT understands that vendors are independent contractors and not employees of MWG and therefore MWG is not liable for in the event the VENDORS is prohibited from providing wedding day services due to illness, hospitalization, auto accident acts of God such as hurricanes, fire or inclement weather or other unforeseen incapacitation or other cause of non-arrival on the day of the wedding. The Consultant will make every attempt to notify the CLIENT and provide for a substitute vendor who can provide the services if time and resources permit. In any event, the Consultant, his agents and assigns shall NOT be held liable further than a full refund of any monies paid due to non-performance of any services resulting from such incapacitation or non-arrival. The CLIENT will pay a fee to MWG for the Services, this fee shall be payable in two payments, the first is 50% of total cost at the time of the booking and 50% two months before the wedding date. The deposit is refundable less a $500 fee for work already performed ONLY if client cancels at least 3 months prior to their reserved wedding date. If wedding is canceled with less than three months notice, the deposit will not be refunded but can be held as a credit toward a future wedding date to be determined based on availability. If the CLIENT requests any special provisions or services from MWG or associated vendors, these details shall be submitted in writing no later than three weeks prior to wedding date. It is understood by the parties that MWG is an independent contractor with respect to the CLIENT and not an employee of the CLIENT. Client will not provide fringe benefits, including health insurance, paid vacation, or any other employee benefit for the benefit of MWG. Pricing is subject to change at any time without notice. Once your package is booked and secured with a booking deposit, you are guaranteed the price for the package you booked only. If you decide to switch packages after you have booked you will be subject to current package pricing. MWG is required to disclose any outside activities, interests, personal beliefs or convictions, that conflict or may conflict with the best interests of the CLIENT. MWG acknowledges MWG's obligation to obtain appropriate insurance coverage for the benefit of MWG (and MWG employees, if any). MWG waives any rights to recovery from the CLIENT for any injuries that MWG may sustain while performing services under this agreement. resulting from such incapacitation or non-arrival. MWG hereby excludes all liability for any claim, loss, demands or damages of any kind whatsoever (whether such claims, loss, demands or damages were foreseeable, known or otherwise) arising out of or in connection with the wedding ceremony or the information, content or materials included on this site. ;The CLIENT agrees there will be no liability on MWG in contract or tort (including negligence and strict liability) for any special, indirect or consequential damages arising from any reason whatsoever, including but not limited to personal injury, property damages, loss of profits, or any other losses, expenses or liabilities allegedly occasioned by the work performed on the part of the MWG. This agreement shall be governed by the laws of the State of Hawaii. The CLIENT hereby grants to MWG and its legal representatives and assigns, the irrevocable and unrestricted right to use and publish photographs of the CLIENT or in which the CLIENT may be included, for editorial, trade, advertising and any other purpose and in any manner and medium; to alter the same without restriction; and to copyright the same. The CLIENT hereby releases MWG/SMW and its legal representatives and assigns from all claims and liability relating to said photographs. -Because we value your privacy we have taken the necessary precautions to be in compliance with the California Online Privacy Protection Act. We therefore will not distribute your personal information to outside parties without your consent. -We are in compliance with the requirements of COPPA (Childrens Online Privacy Protection Act), we do not collect any information from anyone under 13 years of age. Our website, products and services are all directed to people who are at least 13 years old or older.